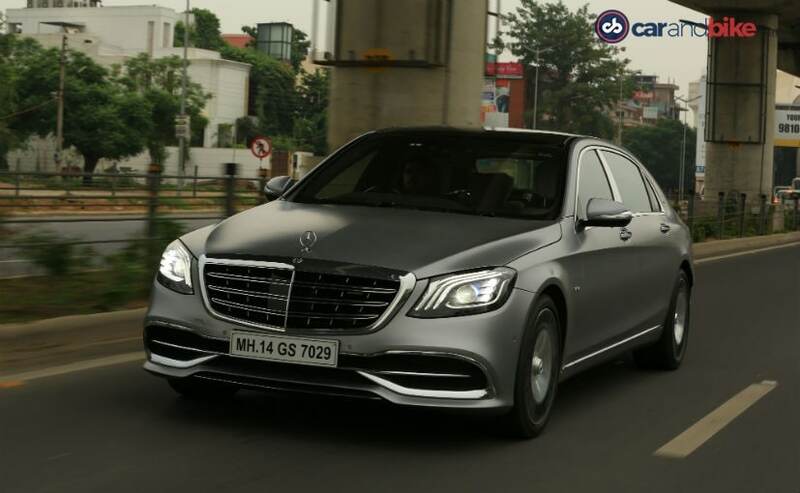 Exclusive first review of the flagship sedan from Daimler. The Mercedes-Maybach sub-brand gives you powerful and ultra-luxurious sedans, that are not for everyone. We test the range topping S 650. The epitome of engineering, design, and luxury in the Daimler universe. This is a car that is meant for the chosen few. The very very few. And while it made its world debut last year and India debut in February this year, it has finally been made available to us to test. And yes, we have it for you first. And exclusive. 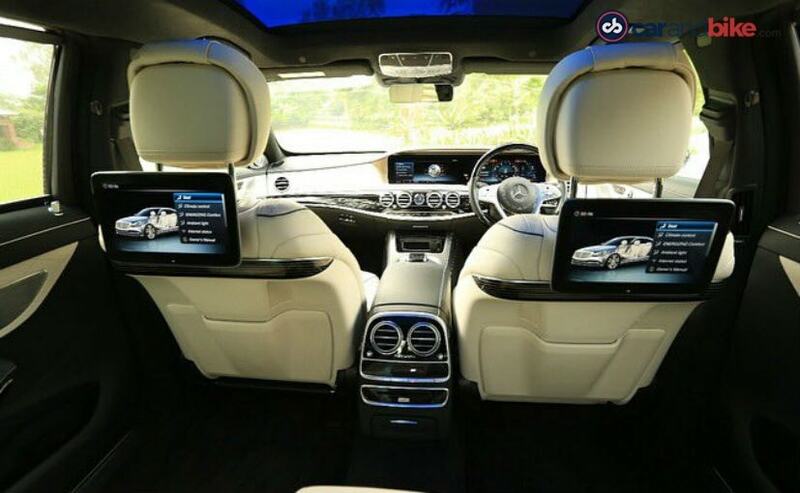 This is the Mercedes-Maybach S-Class. And I am driving the range topper S 650 - not your average car and not even your average chauffeur driven one. But yes, most owners will spend exponentially more time in the back than in the front. The cabin is the true lap of luxury. After all this car is meant to take on the likes of the Bentley Mulsanne and Rolls-Royce Ghost. The finest, softest leather, the best gadgets money can buy, and yes that includes a Burmester 3DF sound system with not 10, not 12, not even 16, but 26 speakers! You can customise everything, thanks to 'designo' individualisation. So, there are 4 options for the wood or lacquer trim, 6 for the leather - and you can get the Nappa leather if you want - and there are 12 paint shades to choose from for the exterior. Traffic in the NCR region can be quite the pain. And even more so with this car since it is a whopping 5462 mm or almost 5 and half metres long. 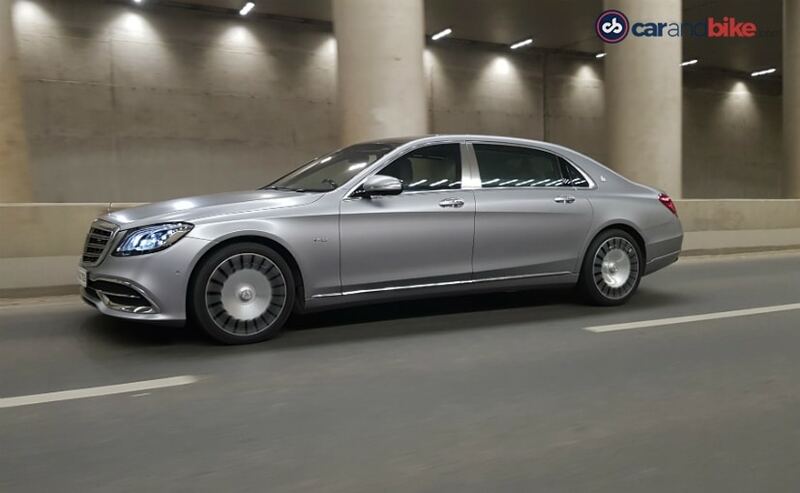 It is longer than the long wheelbase S-Class by 207 mm. In fact, just the wheelbase is 3365 mm, long enough then, to fit an entire Maruti Suzuki Alto in and still have some space to spare. Yes, it really is that large and that makes it a bit of a yacht, especially while navigating through traffic. But since I started my ride by sitting in the rear, I was feeling very relaxed just the same. Magic Body control - a carryover from the S-Class, is the adaptive air suspension which works to give you the best ride quality possible. Now with the extended length of this car, it becomes a little bit more crucial and I have to say, it's executed really well. It's the attention to detail that really sets this car apart even when compared to every other luxury sedan. And then there is Magic Sky Control - another Maybach staple. This is the panoramic roof with glass that can be tinted or made transparent at the flick of a button. Double glazed glass windows, electric sun shades on the windows, and even more. Multiple airbags all around the cabin, include side impact and curtain airbags at the back. But you also get seat belt bags as well for outer rear passengers. 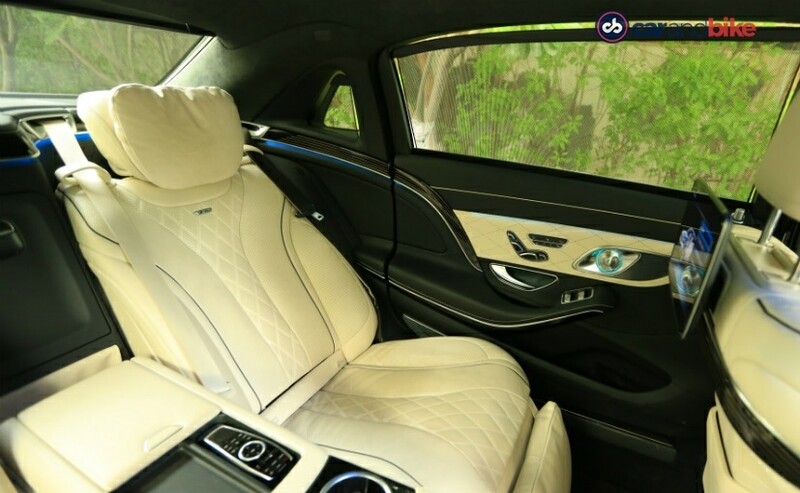 This Maybach takes your safety so seriously that it even has a retractable seatbelt buckle that comes up to greet you when you open the door on that side. It has a small red LED light, so you just can't miss it even at night. The chauffeur package gives me an additional 77mm of legroom, with the front left seat folding forwards, and a footrest deploying below it. Like I needed that - given how big this car already is. But it means you can really stretch out. A nice soft headrest, a little padding on the leg rest as well means you can relax and even nap comfortably. Now you know about the massage functions, the S-Class always had it too. But on the new Maybach you get little extra. It's called 'Energising Comfort'. It actually gives you a theme-based massage settings - refresh, vitality, joy, and well-being. What it does is not just the appropriate massage function to go with that theme, but also a fragrance that's dissipating into the cabin, and to further match that theme, ambient lighting and screen display. If that wasn't enough there's also music that plays in keeping it with that. This cocoon of comfort and safety is perfect to insulate you from the world outside and is perfect to bring you to your high flying, big number crunching, power lunch work meetings. I could go on and on about how luxurious the car, and all those nice features in the cabin. 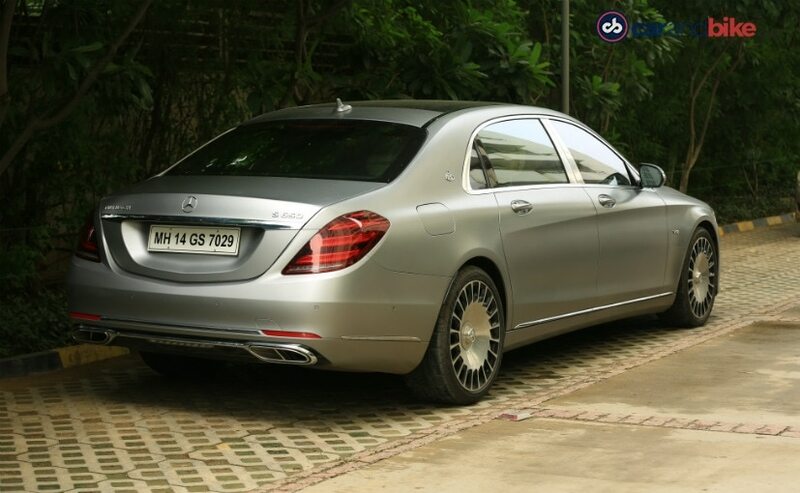 And while the Maybach S 650 is all about that for sure, it is also about its 6-litre V12 engine. It puts out 617 bhp and a ridiculous 1000 Nm of peak torque. 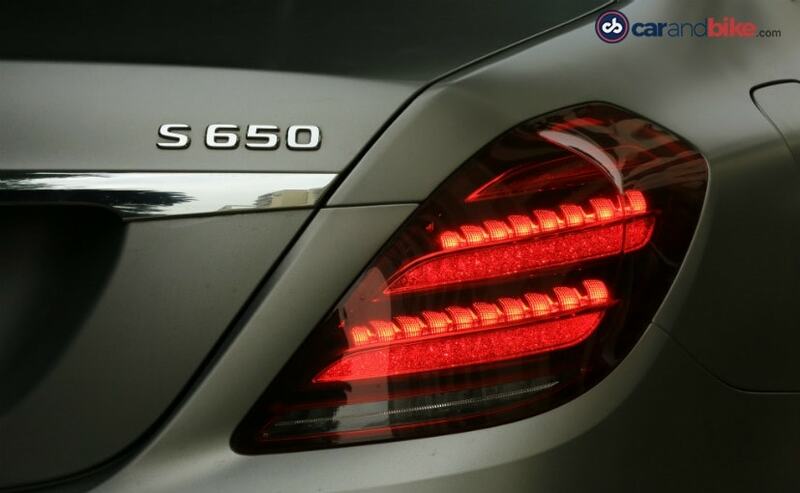 The S560 that gives you 460 horses by the way - and that is a V8. But really if you do plan to drive yourself at all, the S650 is the one to get. And so, I too switched to the driver's seat next. The power delivery is smooth and absolutely seamless. And of course, there's that sublime chassis to keep everything very calm and composed. The 7-Speed gearbox though does feel a tad dated and slow. You get blind spot warning, semi-autonomous features like the lane keep assist and also autonomous emergency braking. I already told you about the Magic Body Control that gives you great ride comfort. But you can also use it to lift the car in case of a huge speed bump or any other rough road condition. The multiple drive mode settings include the predictable Comfort, Sport and Individual. And then there is Curve. This helps keep sway and body roll low, to guarantee a more comfortable ride and handling experience to rear passengers in particular. Needless to say, I was happy to leave it in Sport. The car looks imposing and not just because it is huge. That massive front grille, and the spectacular optional wheels really make you stop and stare. You have 9 wheel patterns to choose from by the way! And it helps of course to have a custom designo matte paintjob that our test car has, isn't it? It would be cool to get the Maybach logo hood ornament though - and yes you can get one optionally. The logo is present on the C-pillar and the car name is spelt out on the boot lid. Of course, that lovely V12 badge on the fenders adds that promise of power. 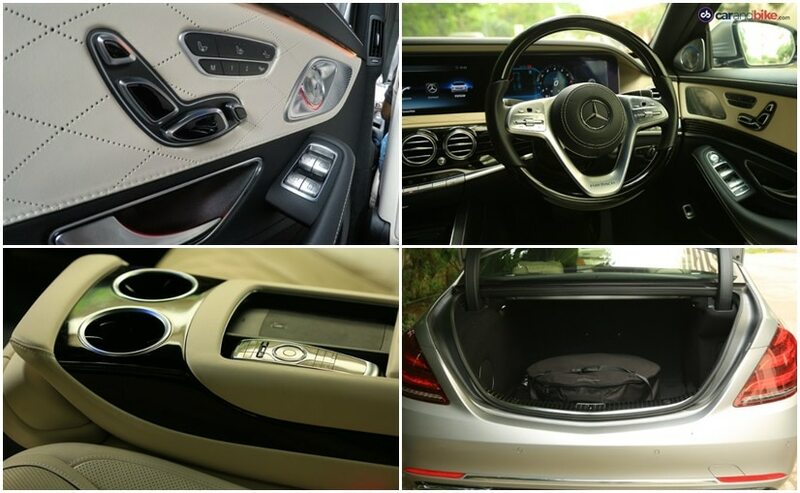 The car is very much like the S-Class otherwise, though in a more obviously sophisticated way. The virtual cluster gives you different displays, but you can also mess around a lot with the interior lighting. Besides the 64 colours on the ambient lighting, you also get the 'Multicolour' option. This lets you animate the colours to offer different shades on the top and bottom half of the cabin. Pretty funky. 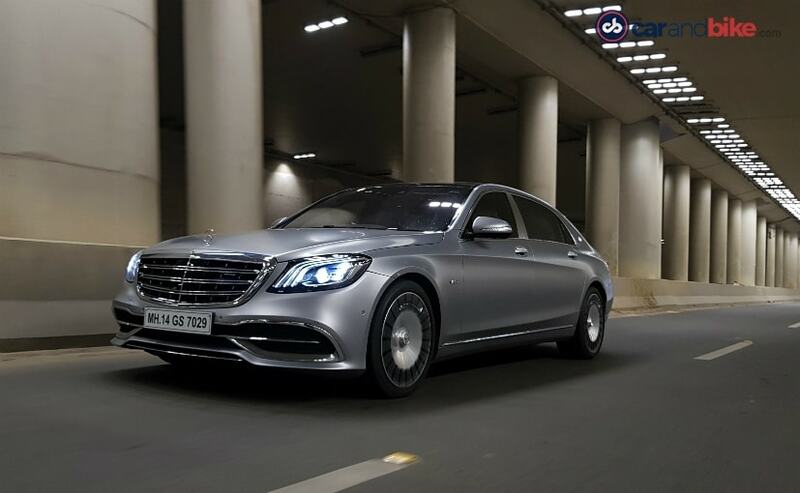 The Mercedes-Maybach S 650 is priced at ₹ 2.73 crore, and the S 560 will set you back ₹ 1.93 crore. 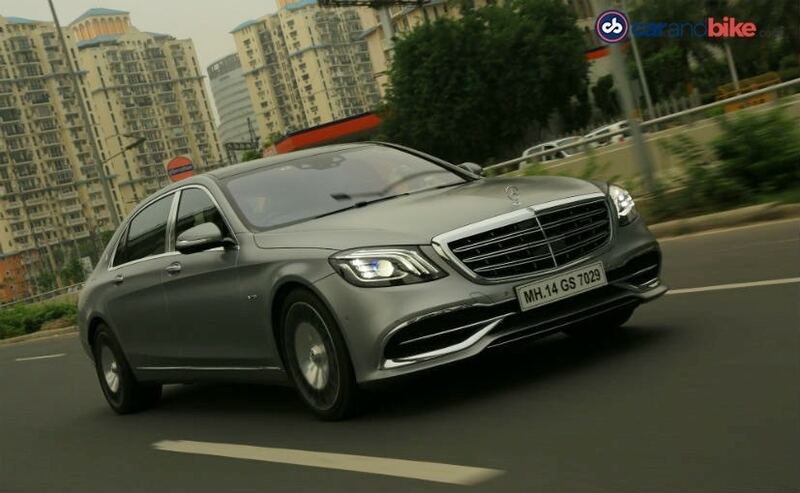 That's still ₹ 86 lakh rupees higher than the range-topping S-Class sedan for the Maybach S 560. But like I said at the very beginning - this car is not for everyone. And yes - not even two of me could afford it!